Now that I’m out of my surgery rotation and in pediatrics, it’s back to wearing professional attire. Since in peds, there are lots of moving around with the kiddos, mixing the physical exam with some playtime I’m lately opting for some leggings! I’m wearing one of my favorite ones here and they are from Zara. It’s navy blue with black paneling on the sides! I love pairing it with a longer top, also blue but in a different shade. I feel like doing this is one way to pull an outfit together. 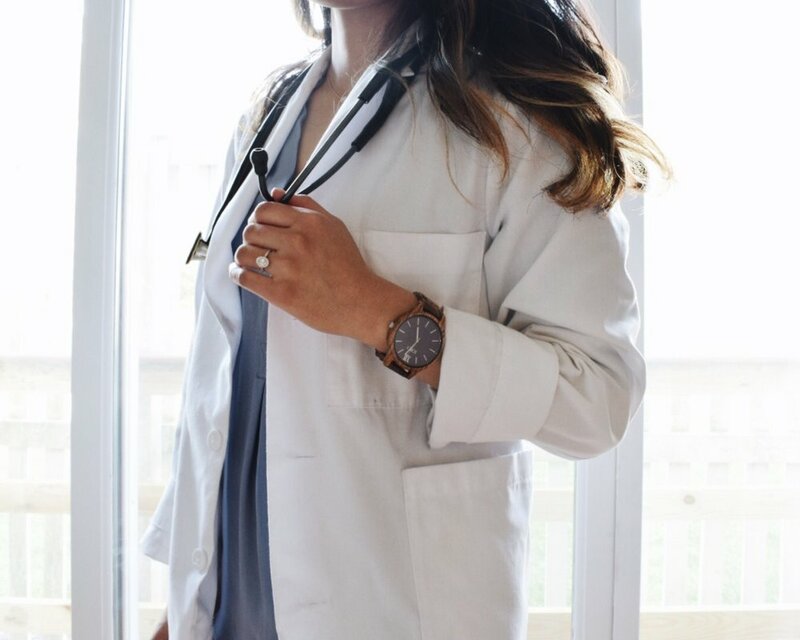 Another way to accessorize a professional outfit in medical school is through your stethoscope! I love this Littman Cardiology IV that has a black tubing and champagne gold bell. 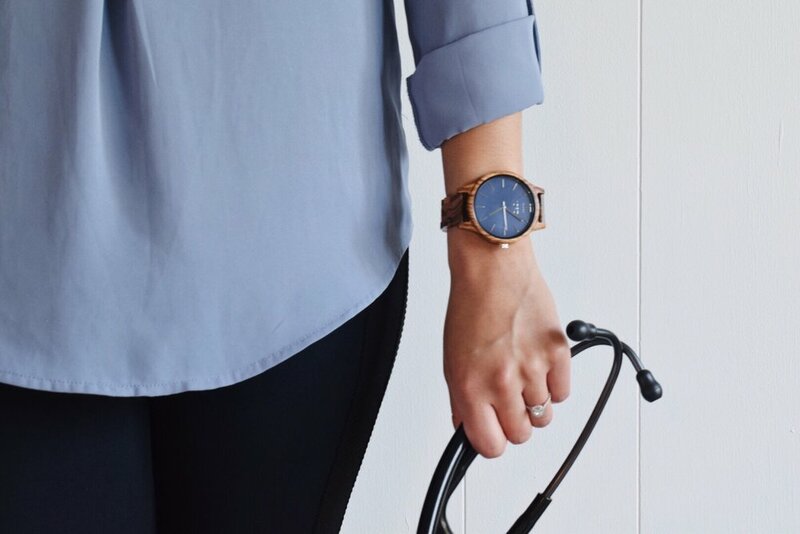 It goes with everything and who knew stethoscopes can add to your outfit? Last but not least, is a watch. 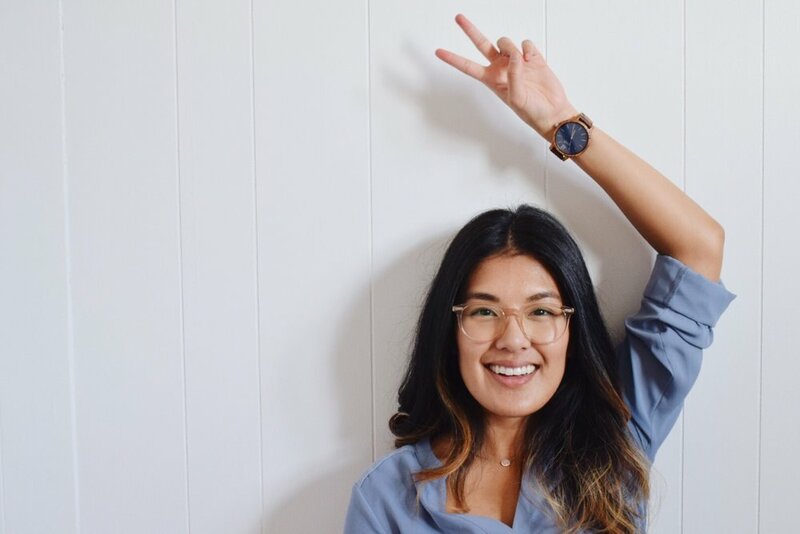 JORD Wood Watches are one of my favorites because the different watches have different colored watch faces! It’s such a tiny detail but it’s another way in which you can pull the outfit together. This JORD watch that I’m wearing has a navy blue face which matches with the leggings. I also love the fact that it’s wood because it gives an earthy touch to your professional wear. It’s so sleek! Who knew dressing up for the clinic can become so fun!? But don’t worry, just for entering there’s still a consolation prize of a $25 gift code! To ENTER the contest, you can click HERE. The contest ENDS on OCTOBER 8, 2017! So quickly enter & spread the word. Good luck! I hope you enjoyed ways in how I still keep it fashionable in clinic, and let me know how YOU express your style even when wearing professional attire!